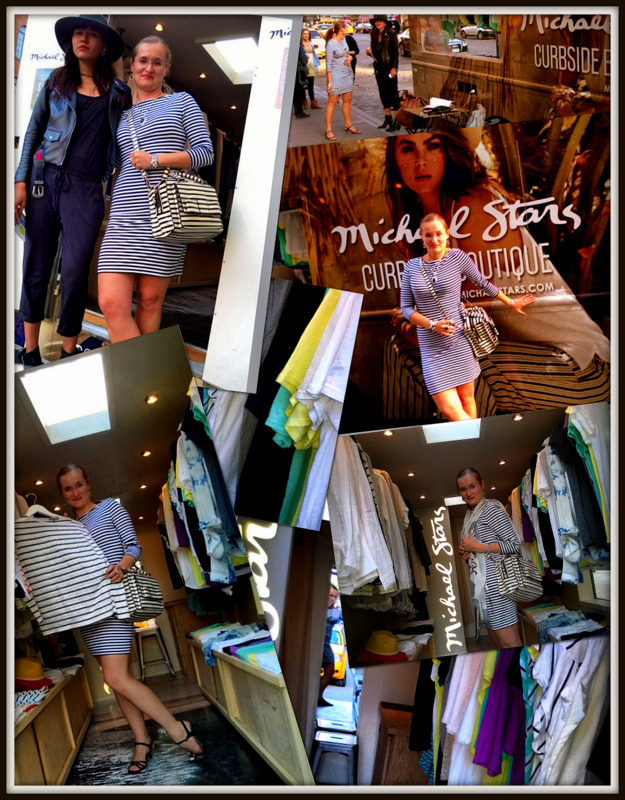 Michael Stars, a California based brand of contemporary clothing and luxury essentials has found its way to New York City! You could spot their mobile curbside boutique all over Manhattan. I met the Michael Stars crew and Natalie Suarez yesterday in the Meatpacking District. Their truck was curbed in Manhattan on the 14th and 9th Avenue. First such a fashion experience for me! And how great it was and what a wonderful idea!